Traveling The Wilds of Africa! Often guided but sometimes involves self exploration. This guide will explain the various considerations for considering and planning a safari. For animal and nature lovers, there are few types of travel so rewarding as a safari, and as many who have been will tell you, the countries of Africa have a hold on the human psyche like few other places; Africa is not a destination - it is a point of origin! An African safari is a trip like no other. On safari you come face to face with nature at its most untouched. Few people come away from a safari the same as they first arrived. A safari is an opportunity to travel off of the beaten path, to acquire memories that last a lifetime. The key to a successful safari is education, preparation and planning. You enjoy an active vacation. Travelers wishing to go on safari have a number of options with regard to the type of guide they might choose, as well as the degree of comfort. Travelers can choose either a guided safari or an independent, self-drive, safari. On independent safaris, the traveler arranges, typically through a tour operator, for a vehicle, maps, itineraries, food and provisions, tents and park passes. The traveler then plans his own itinerary and travels unaccompanied. Not every country or park permits self-drive. Many require guides for reasons of safety and the lack of infrastructure; Self drive is inherently more risky! The roads are often in poor shape, there are animals that view anything that moves as dinner, there are no gas stations along the way and the local population speaks no English. These considerations are merely to inform, not to discourage! Travel is a matter of well-informed choice. Guided safaris involve the presence of a trained and experienced guide that accompanies the traveler during the itinerary. The traveler may choose to travel with a group or privately. The guide is typically very knowledgeable with regard to the local animals, plants, weather conditions and locales. A good guide will know the best locations for animal viewing and will save enormous amounts of time, making the trip much more efficient. Many guides are trained botanists and zoologists, and have a sharp eye for animals and plants that the untrained eye might miss. Finally, make sure that your guide speaks both English and the native language, a skill that will come in handy time and time again! Guides are charged with obtaining park and camping permits. Finally, the guide is typically charged with setting up and breaking down camp. Travelers also have their choice of accommodations while on safari. Some of the camp grounds and accommodations are in the game parks, while others are outside of the boundary of the officially designated parks. 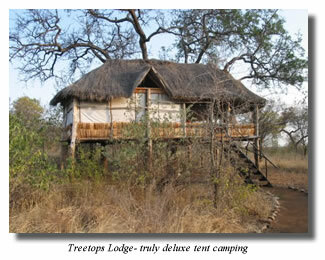 Tented safaris are camping excursions with tents and mobile locations. There are well-defined tent areas where the parks permit camping. Tour operators sometimes offer variations of luxury in tents, from bare canvas tenting to deluxe permanent tent structures. This is the traditional "mobile" safari where the traveler crosses the countryside in a four wheel drive vehicle supplied by the tour operator. Lodge safaris utilize accommodations spread throughout the itinerary that range from rustic to the ultimate in luxury. Finally, it is possible to arrange Fly In safaris where the tour operator uses small aircraft to airlift the traveler to the game park and a vehicle for a day or more of animal viewing. Not all types of safaris are offered at all parks or by all tour operators, so it is important to ask and to plan around the details of the travelers' preferences. In addition to the types of safari already mentioned, there are a great variety of specialized safaris in various locations. 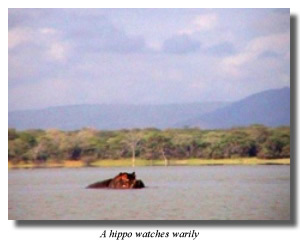 For example, Selous Game Reserve in Tanzania and Liwonde National Park in Malawi offer canoe safaris to view hippos and crocodiles. Rwanda, Uganda and Gabon offer opportunities for gorilla safaris. 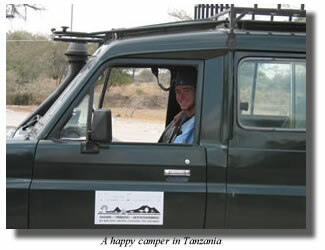 As you can see, there are many different types of safaris and many different possible options. 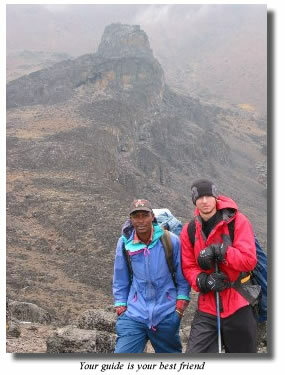 Safaris can be as comfortable or as rugged as suits the preference of the traveler. 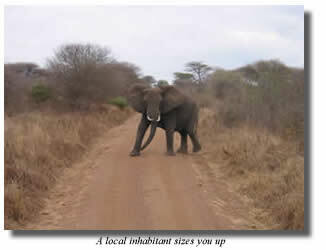 This is why the assistance of a good travel consultant is highly recommended for a safari experience. Trained travel consultants typically have a variety of tools at their disposal which not only find the best possible values on the market, but which also matches the individual traveler's preferences to a suitable tour operator. 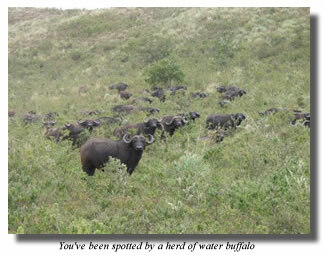 Most travelers go on safari for the opportunity to see the amazing wildlife that is a part of the African landscape. The most commonly sighted animals include the "Big 5": lion, elephant, cape buffalo, leopard and rhino. However, a multitude of other species is a part of the safari experience including zebra, giraffe, cheetah, baboon, wildebeest, and dozens of varieties of gazelle like mammals. In some areas, gorilla, chimpanzee, crocodiles, hippos and other more exotic animals make their home. Spotting wildlife is a matter of luck, patience and a good guide. Especially in the dry season, animals tend to gather around waterholes, which make excellent viewing spots. On rare occasions, you might spot a lion or cheetah stalking a gazelle or other plant eater, a spectacular sight. Most animal viewing is done from the safety of a four wheel drive vehicle which the animals largely ignore. Seldom in the parks are visitors permitted out of their vehicles except in specially designated areas. The first step to planning a safari is to make sure that you are prepared for the physical demands of the trip. While almost anyone can go on safari, it is important to choose one that matches both the preferences and the physical capacities of the traveler. Because most game viewing is done from a vehicle, travelers are not limited by physical impairment or infirmity. However, some camping locations or the demands of trekking in mountain ranges may prohibit some from the rigors of the experience, as can the need to spend several hours at a time in a vehicle. In addition to considerations of the physical demands of a safari, the traveler should be aware of the necessity to protect against indigenous disease such as malaria. As early as possible in the planning stage, the traveler should consult a physician to determine what shots and other precautions should be undertaken prior to travel. Travelers are well advised to book as far in advance as possible. This allows plenty of time to get the best possible airfares and rates on guides, as well as to make appropriate preparations for shots and medications. Some safaris actually sell out, so booking in advance makes for good sense. All African countries require passports of its visitors and most, but not all, require visas from most foreign visitors. While the traveler can often obtain a visa upon arrival, it is recommended that the traveler obtain a visa during preparation for the trip. It is a good idea to pack as lightly as possible. A good pair of boots will be appreciated as will a hat and other protection from the sun. Do not forget the sunglasses and sunscreen! Insect repellent? Yes! Loose clothing that can be layered and shed as the day warms works well. It is a good idea to take long sleeve shirts and light jackets for the evening cool and to protect against mosquitoes during the night. Neutral colors help the traveler to blend in and are less likely to attract insects. "Convertible" shirts and pants are favorite garments owing to their versatility. 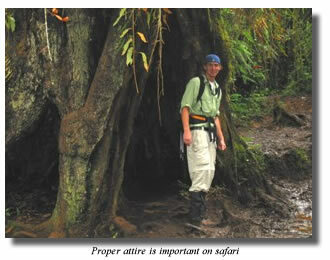 Your tour operator will provide a complete list of recommended clothing and gear. Prepare for the trip with a visit to a doctor to make sure you are prepared physically and that you have had recommended shots and anti-malarials. Listen to your guide! Do not, under any circumstances, over-rule your guide. Listen to them and follow their sage advice. Avoid swimming in bodies of water. Hot? Want a cool dip in the water? See that log? That's no log. Watch animals from a distance. You want to look neither threatening nor tasty. If you encounter an animal at close distance unexpectedly, leave it plenty of room for escape and begin walking away quietly and slowly. Stay with your guide. Stay inside your tent at night. Stay hydrated. Drink water throughout the day, even if you are not thirsty. Respect the local inhabitants. You are their guest. Again, your guide is your best friend. As with any active vacation, travel insurance covering trip cancellation, trip interruption and medical emergencies is a good idea. Botswana - the Okavango Delta in Botswana is an amazing series of lagoons, lakes and streams with a wide variety of wildlife. Mostly accessible only by air plane. Less crowded, higher end safari. Kenya - Popular safari destination for decades and easily accessible. Masai Mara Park is one of the top safari destinations for the annual migration of the wildebeest, a classic safari adventure. Namibia - Namibia's Etosha National Park hosts the world's tallest elephants and the rare black rhino. More than ninety other varieties of mammal live here. Rwanda - Virunga National Park covers an area of about 48 square miles and with six volcanoes. The mountainous area is home to a population of mountain gorillas. Uganda - Uganda is known for its scenery, culture and wildlife. The endangered mountain gorilla is its chief safari draw. South Africa - Popular safari destination for the Big 5. Kruger National Park is one of the top safari destinations. Tanzania - Dozens of animal species in a variety of settings from the Serengeti National Park to mountain locations such as Kilimanjaro and Mount Meru. There is no real consensus as to when the best time to go on safari might be. Many prefer the dry season, which varies in time roughly from May through August, the African winter. The dry season is in general more comfortable and is typically peak travel season. During the dry season, animals congregate around water holes, making them highly visible. Vegetation is low and dry, making the view unobstructed. Temperatures are typically cooler. However, the animal migrations are in progress during the dry season, and some animals may not be present as they travel following water. The rainy season brings water and the early birthing cycle of many of the animals. 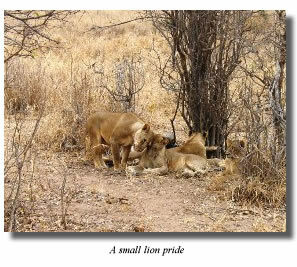 The young make for good viewing and it is not unusual to see the large predator cats in feeding during the birthing season. Typically, tour operators classify safaris as budget, deluxe and luxury depending on the amenities of the accommodations, the meals included in the package and the planned activities. Seasonal variations also pertain. Each tour operator defines their safaris differently, and the traveler should consult a good travel agent to assist with sorting through the details of each offering. Your travel agent will use a reputable tour operator, an important service as there are many safari companies of varying quality and dependability. 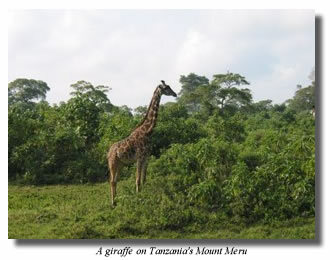 Safaris can last from a week to several months. Each of the price ranges below is net (does not include) airfare. Luxury safaris typically range from $450 to $800 or more per person, per day. What is clear is that there is a safari experience for every budget and for every type of traveler. Get your gear and get traveling. Africa awaits.